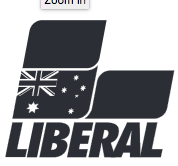 Finally, the Australian Labor Party. I was very tempted just to make this a list of 100 yes, nos, or maybes as a summary of the 100 positive policies but at this point even that feels like it might be too much. I could go on about what was accomplished under the previous Labour government, dealing with the GFC, managing a minority government that did a better job of working with the cross bench in both houses than the Coalition have done in the last 3 years, the NBN as it was originally implemented as a fibre to the premises model that would have supported our nation well into the future. The ALP's 100 positive policies are a bit of a mixed bag from serious (reintroducing an emissions trading scheme) to the trivial (cheaper admission to Questacon (but seriously, if you're in Canberra, go to Questacon, it's cool)) to the vague filler that are actually just summarising the previous ones (Labor's Positive Plan for ). Their campaigning over medicare seems to have worked, although it seems to be misrepresenting the situation a little, being that the proposal seems to be outsourcing some of the administrative work involved in getting money from place A to place B, not making medicare a business rather than a government service. That said given the number of government departments that need to make large numbers of payments, I wonder if the current government had considered setting up a general purpose payment system that all government departments could use, rather than outsourcing bits here and there might be more effective in the long run (although as I type this I realize that with the great diversity of needs of different government departments might mean that any system able to meet each ones needs might not be feasible). Overall, I like the picture of what Australian society can be that Labor presents better than the one the Coalition presents. So while Labour won't be my first choice on the ballot, it will definitely have its place. When it comes to the bigger items they sound nice enough but their actions over the last 3 years make it harder to believe in them. The biggest one is Better and More Accessible Digital Services, where their big claim is a better rollout of the NBN. Between vastly expensive purchases of a degraded copper network from Telstra, switching to a mixed technology system which means people on what is even now just an ok cable connections are considered to be on the NBN, abandoning of fibre to the premises, they're giving us a worse solution that won't stand the test of time that isn't cheaper and isn't being delivered sooner. I'm also not convinced that Turnbull will be able to rein in the far right of the party who have been undermining him since he replaced Tony Abbott. These are the folks who are saying marriage equality is an issue that is so important it needs to go to a vote of the whole population, but then that they won't commit to voting in line with the outcome of the plebiscite afterwards. These are the folks who tie up the senate with hearings on Halal labelling. The coalition is a group that have made all Australians a party to inhumane treatment of asylum seekers in our care at offshore dentention centres. This is a group that has worked to limit the knowledge of citizens about the actions of its government. This is the government that made the phrase "on water matters" a punchline. This is the government that when Greens senator Sarah Hanson-Young said she was spied on by staff at Naura replied the allegations were completely unfounded until said staff came clean and admitted they did so. This is the group that brought in mandatory data rentention laws with an attorney general who can't even wrap his head around what exactly metadata is. This is a group that axed a carbon tax and then saw emissions rise again. This is a government that proposed making young people wait 6 months before being able to claim unemployment benefits. So, while they have more good ideas this election, it's not enough for me to look past the last 3 years. Now it's time for the bigger players. I've left these to last because honestly, if you don't know where you stand with regards to these by this stage, I'm not sure what to say. Ask the people handing out how to vote cards to tell you a joke and vote for who tells the funniest. Or ask them why you should vote for their party without mentioning any other party (the biggest failure I've seen when doing this was when the second word they said was the name of the other major party, and "well, he's my brother in law" is a honorable second worst.) Anyway on to the party in question. 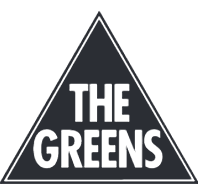 The Greens are the most established of the minor parties, and have grown in influence since the demise of the Australian Democrats over a decade ago. They've worked well with governments from both the major parties, but haven't been pushovers either. They also have the only politician to attend PAXAus, Scott Ludlam. In other areas they are for marriage equality, better public transport, better health care and social services, and better support for artists. These I can get behind. Overall, pretty good, and they deserve to keep their place as the major balance of power player in the senate.